Dear Ann & Rob, thank you for coming to our club on Friday and giving us a wonderful evening, it's really very much appreciated. I'm only sorry I couldn't stay to the end which i'm told went way past our usual 11pm finish. That in itself tells me a good time was had by all. Cheers Malcolm. Ann & Rob, thank you for a superb evening,wonderful vocals, and Rob your guitar playing blew us away! We would recommend Ann & Rob to any local club and look forward to booking them again. Ann Duggan and her guitarist Rob Hines came on and performed a great set of their original songs. Being accomplished musicians, with a history of performing abroad and in the UK didn't prevent them from giving their all in a corner pub in the sleepy town of Alcester. Superb slide and open string guitar playing from Rob, and Ann's wonderful vocals (which had delicious hints of folk, rock, soul and americana) brought their songs alive and ensured generous applause and whoops of approval from the crowd. The bar has always been set high for the quality of performers appearing at the Hinckley Act, and the first concert of 2018 more than met that criteria with the Ann Duggan Band - featuring Ann Duggan and Rob Hines with Danny Willson. Ann’s exuberant personality soon had the audience joining in energetically with the choruses. A broad selection of songs including folk, blues, jazz etc. - many written by Colin Granger who Ann has worked with for many years. Many of Ann’s songs were biographical, being drawn from events in her life, and were sung from the heart. An all round great evening performance by three talented artistes. Thanks as always to our loyal team of volunteers who were: Jean and Brian, Carol, Barbara and Bob (Barbara multi tasking as compere and “barman”) and of course our man on sound - Steve. Ann Duggan has been a fixture of the UK country scene for nigh on two decades and for much of this time she's performed fronting her own band interspersing this with solo performances and duo collaborations. It is in the latter format with long term guitarist and collaborator Rob Hines that "Dust upon the Wind" is presented. The dozen songs contained therein are pure Nashville in their writing and in the bluesy slide guitar that is scattered across the album. Cast on an acoustic foundation, even when there is only voice and guitar the sound is rich and resonant, as if additional embellishment were unnecessary. Duggan's voice belies her East Midlands origin sounding authentically country. There is a mixture of depth and delicacy that calls to mind artists such as Emmylou Harris. The quality of her singing shines through on songs like "All that i'll be needing" for the sparse, finger picked guitar would leave a lesser singer with nowhere to hide, instead Duggan presents a small but intensely personal torch song - words, melody and delivery drawn from a place of deep emotion. Whether up-beat or laid back, the same commitment is shown to each song on the album. It was always about THAT voice and THOSE songs. How fitting it is then, that in 2016 Ann Duggan should close a twenty year cycle of making music on the road and on record, with a confident return to first principles. Around camp fires in the Midlands there are those who tell of a time, circa 94-96, when a band of 3 or 4 or sometimes 5, collectively known as "The Mother of Sarah Duggan", served up popular folk tunes in the pubs and clubs and village halls. Some still have the tapes to prove it, and they guard them jealously. Speak to them, and they'll say that they were there at the start. But they'd be wrong. Because even before then, there was THAT voice and THOSE songs. There was Ann's voice, and Colin's guitar; and before long, Colin's songs; learning how to get along in the back rooms of bars in the middle of nowhere. When songwriter Colin Granger decamped to the wilds of Norfolk, this story could have come to a sudden, sad and premature end. Instead, he recognised that, even if he wasn't at hand to perform with her, Ann remained the perfect vehicle for his emerging talent; a decision which heralded the start of a long-distance creative partnership which has endured to this day. And, of course, paved the way for the formation of the Ann Duggan Band. Like all great bands there was an indelible 'classic line-up': of Ann herself; mainstay guitarist Rob Hines; and the celebrated rhythm section, coupling bass player (and crowd favourite) Brian Tillson, with the late, great Geoff Bates, gentle giant of the drums (and sometime backing vocalist). It's fair to say that to see them was to never forget. As the Fab Four set to work building up Colin's simple demos they left the folk world standing, breaking loose with a dazzling set of Country, Blues, Jazz, Rock and Americana, that shook the circuit to its core. Like a marauding army they didn't so much outgrow the regular music haunts around Leicester, Nottingham and Birmingham, rather laid them to waste; before taking off around the country in search of the smartest venues, the biggest audiences, and the best buzz to be had. Crowds roared their approval and not only learned all the words, but sang them so loud they threatened to drown out the musicians themselves. Critics (Maverick, Blues Matters, and Classic Rock, to name just a few) heaped lavish praise on their four albums and questioned why they weren't topping the charts. Ask Ann about the greatest nights and she'll struggle to answer, with so many to choose from. If pushed, she'll point to particular favourites: the launch of the first album at Leicester's legendary Vaults in 2000 (one of the earliest sell-outs, with queues around the block for copies); the night they played the Royal Festival Hall after winning a national songwriters competition; and the two month residency in Austin, Texas on the second US tour. Long-term fans will tell their own tales of storming gigs and steaming nights; and hot afternoons and wild celebrations. Every last one will be different, and every last one will be true. What isn't always obvious is just how much more goes into that exhilarating 90 minutes on stage than simply getting up and doing it. As not just singer but band leader in every possible respect, the personal toll on Ann of keeping the show on the road was huge. Giving her all for audiences was one thing; but doubling up behind the scenes as manager, promoter, and publicist, (much less problem solver, peace-marshal, head cook and bottle washer), was quite another. As the band's line-up changed, the task of finding and inducting replacements of the right calibre added pressure of its own. Sometimes it seemed the "Mother of Sarah Duggan" had so many children she didn't know what to do with them. The Ann Duggan Band had been an amazing journey; but something was finally drawing her back to what it was really all about: THAT voice and THOSE songs. On a tour of West Coast Scotland, where a canny promoter paired Ann and Rob, as an acoustic duo, with local singer-songwriter Iain Thomson, and former Capercaille man Marc Duff, they realized that their own pared-down performance was mature enough in its own right to carry the songs to old and new audiences alike. The autumn release of Dust upon the Wind will realise this ambition in full. Returning to where it all began, but twenty years the wiser, the album presents a brand new set of Colin Granger numbers, delivered by Ann Duggan's inimitable voice, and backed by the most sympathetic of instrumentation, principally Rob Hines' lyrical acoustic playing. It makes an open offer to the listener to call on their imagination to embellish as they wish, and take off on a journey of their own. THAT voice and THOSE songs are coming home. By sheer coincidence, I listened to Ann Duggan's latest album release whilst sitting on a bench at Hull Paragon Interchange, coffee in hand, waiting for the next train bound for the equally alluring town of Doncaster. As the jingle-jangle of Rob Hines' guitar opens the first song, I'm amused by the opening lines of Dust Upon the Wind, 'Saw you today, you missed your last train home, You were sitting in the station, drinking coffee on your own..', it seemed almost poetic that this album would form the soundtrack of my short journey home, with Ann Duggan's voice effectively commentating on just another day via the lyrics of long-time collaborator Colin Granger. By Hessel station, as the late afternoon sun set upon the glistening Humber, its imposing suspension bridge towering above the Northern landscape, Reflections whispered the optimism of a brighter future after a messy break-up, with the suggestion that there is indeed more fruit on the vine. Looking out of a carriage window as the train moved forward seemed to suggest a poignant metaphor. 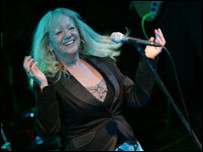 Throughout the album, Ann Duggan traverses the ups and downs of relationships, from a bitter break-up to the reassurance of a brighter future with Every Step of the Way, where one protagonist commits to an unbreakable bond with the other. By Goole, the drama continues through a bluesy Hurricane, whilst being transported from the ebbing of an ordinary day in the industrial North of England to the luminescence of a Carolina Moon. Been Here Before continues to audibly shape my own situation as ‘Sitting beside the railroad track, Memories of you come flooding back, Waiting for the train to bring you home' sang in my ear, almost as a lullaby, whilst also reflecting on the bleak faces of those waiting around on the platform as their day likewise awaits the onset of dusk. My journey almost done, just as the doors of Thorne North's information office are being locked up for the night, the Country influenced Songs to Cure the Blues recalls the many towns, many stations, many miles travelled thus far. Pulling out of Hatfield and Stainforth station, the CD drew to its close with the appropriate When the Day is Gone, which for this reviewer, practically summed up the close of an ordinary spring day. Famously, life is pain. Less famously, Midlands songbird Annie Duggan has been peddling the antidote for over a decade with her resolutely blue-collar, balls-to-it-all material reminding us to cheer up, it might never happen. Duggan can belt it out, and this country-tinged material is a great painkiller (if not a cure). With Ann Duggan's distinctive voice backed by a pretty tight rhythmic unit courtesy of the newly re-named 'Annie' Duggan Band, comprising of Rob Hines on guitars, Alan Shotter on bass and harmonica and Gordon Taylor on drums and backing vocals, Ann's fourth album blends country, folk and rock to create something distinctly their own. If I Knew Then... once again demonstrates something of a rarity; the successful transistion from a young girl whose musical calling was not at first apparent, to a mature artist who seems to have been born to sing. Ann Duggan began singing by chance when asked to help out Norfolk-based songwriter Colin Granger who had penned a number of songs but was in need of a voice to blaze their trail. Until that moment, Ann had little or no interest in singing but rose to the challenge and in the last ten years hasn't looked back. 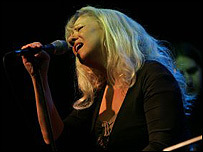 Four albums and countless gigs down the line, Ann has blazed that trail which has taken her from the East Midlands to the States and back, sharing stages with such Blues greats as Larry Garner, Lonnie Shields and Mr. Johnnie Billington. The songs on this latest collection indicate that Ann's singing career shows no signs of waning as she continues to grow as a vibrant light on the live music scene. Those songs are at times reminiscent of early Richard and Linda Thompson, with Ain't that a Shame being a suitable counterpart toBright Lights, largely due to Rob Hines' mature guitar style and Granger's comparable lyrics. The treatment of Granger's lyrics differs greatly from song to song with Shooter's Last Ride being fairly typical country rock fare, whilst Sucking Down Air has all the hallmarks of early 1970's riff-rock blues. The funky Travellin' Man Blues on the other hand leans more towards Doobie Brothers type West Coast pop, a clear indication of Duggan's versatility as a performer and Granger as an all round songwriter. The three songs not from the pen of Colin Granger includes Billy Joe and son Eddy Shaver's delightfully optimistic Live Forever, which in the hands of Ann Duggan is much more ballad-like than Shaver's original. Gordon Taylor contributes two songs, the jaunty Taking Me Out Tonight, which makes a good companion to Ain't that a Shame, and the folky Dream of You featuring the only additional musician on the record, Kerrie Vernon, who contributed the violin solo as well as a good deal of hospitality during the making of the record. Rounding off with Worn Out Blues, a power ballad that wouldn't be out of place as the live show closer with lighters aloft, the Annie Duggan Band continue to develop their own brand of mature bluesy country rock. Beginning with a slow build-up riff, this new album bursts into life approximately six seconds into the opening track and only disappoints at the end...when you realise the record's finished. Blues-infused boogies like Shooter's Last Ride and the 1970's-style rock of Taking Me Out Tonight, through delicate, acoustic ballads like Dream of You, The Way You Are and Live Forever, make this a sterling body of work which makes for a strong showcase of what must be an exciting live act. As most of you probably won’t know, this little blog of mine was originally a music blog, with gig reviews and new artists being featured every now and then. However, last night my uncle Matthew took me for a refresher course in live music. By that I mean, two pubs, two bands and a quite a few pints of Coors. The first pub we paid a visit to was beautiful. It has recently been transformed by young couple, Craig and Jo, into what others are describing as ‘The Home of Music in Melton’ with heaps of great bands playing throughout the weekend. Matthew had previously warned me that Melton is becoming pretty big on the live music scene, but as the only thing I really know about Melton is that it’s the home of the Pork Pie, I didn’t believe him. Afterwards, when The Ann Duggan Band’s set, unfortunately, came to an end we wandered over to another pub called The White Hart. Now, this place was originally a pub, turned restaurant, and is now back to being its usual self, but in my opinion, didn’t quite have the same cosy-ness as Noels but I guess that’s to be expected with a recently reopened pub that is quite modern in it’s appearance. There, Govannen, an Irish band was performing playing two sets of traditional Irish music with a break for chilli in between, mmm. Typically, this wouldn’t be my usual cup of tea, but there was just something about their music that made everyone smile and apparently, dance. ANNIE DUGGAN IN SUPREME FORM. Annie Duggan was in supreme form at the Thringstone Community Centre on Saturday 27th April. A full house was treated to a memorable night of sheer entertainment. Annie and her talented musicians produced a versatile, superb rendition of Country music from the the Honky Tonk days of the U.S.A. The acoustics in the upstairs Hall are excellent and Annie's soulful singing and punchy musical style made for a magical upbeat evening. Just the "pick me up" we all needed. Needless to say Annie and her Band are much in demand.They are able to play music over a wide spectrum from Jazz, Blues and of course their latest venture County music American style. Annie and the Band have played at the Community Centre a number of times and the Centre's organisers are hoping a return visit will be made sometime in the future. Annie remarked " I just love playing at the Centre.The atmosphere generated from the audience is palpable and the warmth of their reception to our music is terrific. Annie added I feel part of the Community Centre, it's in "my patch" and I urge people to come along and support the Centre.It is too important to lose." Over the last decade folk and blues artist Ann Duggan has been building up a sizable fanbase, since changing her whole life for music. "You could be playing to two people or 2,000 it doesn't matter as long as you enjoy what you're doing." Ann Duggan certainly doesn't do things by halfs. Ten years ago she totally changed her life when a chance meeting inspired her to take up music, quit her full-time job and separate from her husband. Originally from Birmingham, folk singer Ann now lives in Markfield, but her voice has taken her across the world to America. As a child Ann had always been involved with music, but by hey late teens she was married with a daughter, and had a "normal" job. It wasn't until 20 years later that she had a strong feeling that she should be trying something else, and a chance meeting with songwriter Colin Granger re-sparked her interest in performance. After performing a few shows with Colin and getting a good response Ann realised she could have something special. "Now he lives in Swatham and sits there in his shed writing all these songs and we get the benefit of going out and playing them and having a ball and getting paid at the same time." "No matter what you do, if you just want to test the water, go and do this sing around and test what people think of your music. You build up your confidence that way." She has been overwhelmed by the positive response and support she has received across the UK and in the States. "You've got to connect with your song, because if you don't, you could be singing anything really couldn't you. "If you don't believe in it, how can you expect other people to believe in it?" Ann has no regrets in her decision to dedicate much of her life to music, especially with her band Rob, Alan and Gordon supporting her all the way, "I couldn't ask for anything better". She now hopes to revisit Chicago and Austin, and eventually split her time between the UK and America.